Blah blah blah Johnny Depp. Rum. Elizabeth Swann. 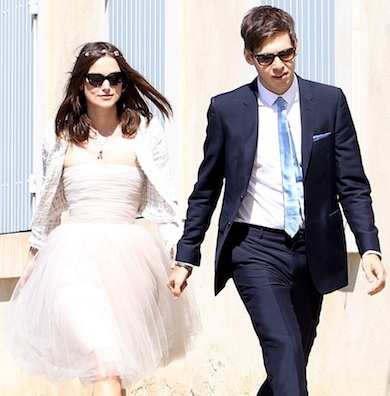 ANYWAY, the press caught wind of Keira’s wedding when they saw her people setting up tents 12 miles outside of Marseilles, near the mansion her family owns. The town hall ceremony was low-key with only 11 flip-flop wearing guests (mostly family) and the bride wearing a daisy chain in her hair and a Chanel jacket and dress. Glad she is no longer a whore on drugs.